The Swiss Army Knife for all-mountain riders who need a powerful and responsive snowboard to ride it all. Raring to go with a new shape concept for the 16/17 season, the Paradigma in its latest incarnation is a freestyle snowboard shaped and constructed for all-mountain dominance. Its directional twin shape gives it a true-twin feel on groomed and hard-pack snow. 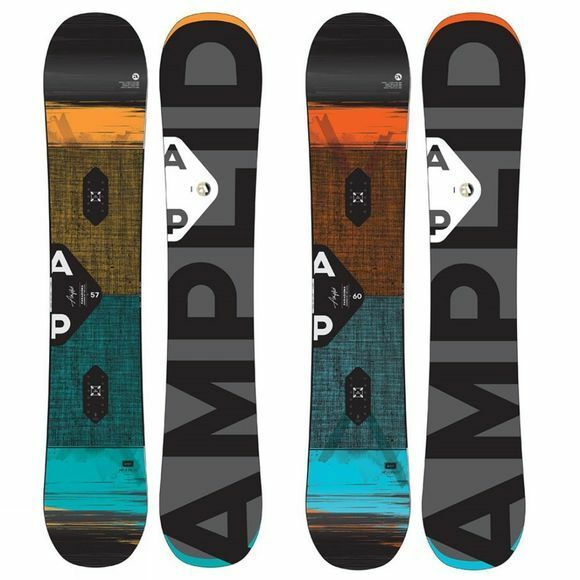 In powder and mixed snow conditions the Paradigma’s slightly longer and fuller nose shape and a touch of early rise rocker improve floatation and aid stability. At the back foot an extra pair of inserts enables a more set-back stance to help tackle the really deep days. The Paradigma’s burly Omni Core and cleverly positioned basalt and carbon reinforcement give it the cojones to charge the scariest lines and remain cool, calm and collected. If it’s speed you’re after, the new Sintered 7 base won’t slow you down. The Paradigma is the board for anybody that is ready to take their riding to the next level.